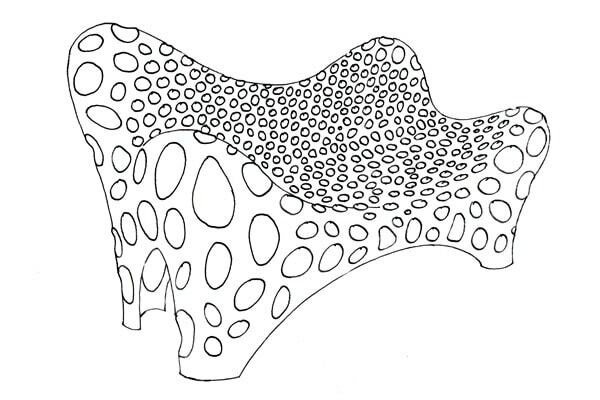 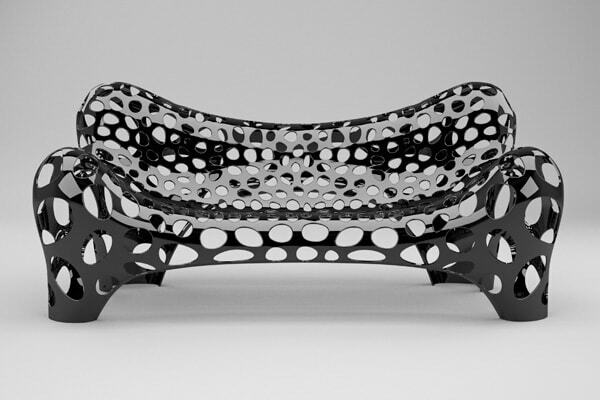 The final design: "Sofa II", coming soon.. 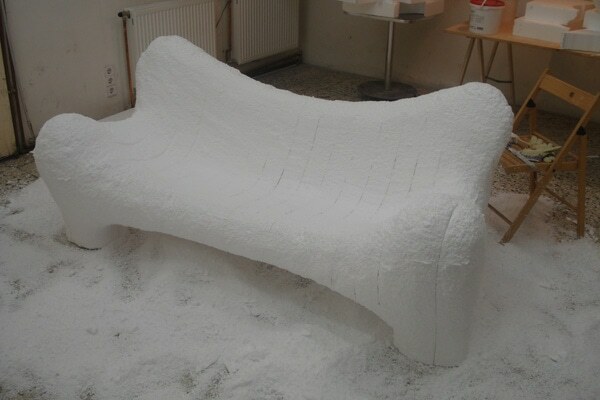 The main purpose of Philipp Aduatz‘ Sofa I is to function as a prototype for a smaller complement to the Dormeuse. 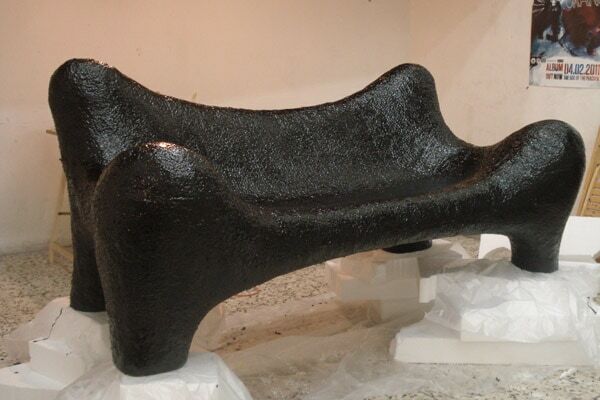 It has an couch-like appearance, perfect for two people resting. 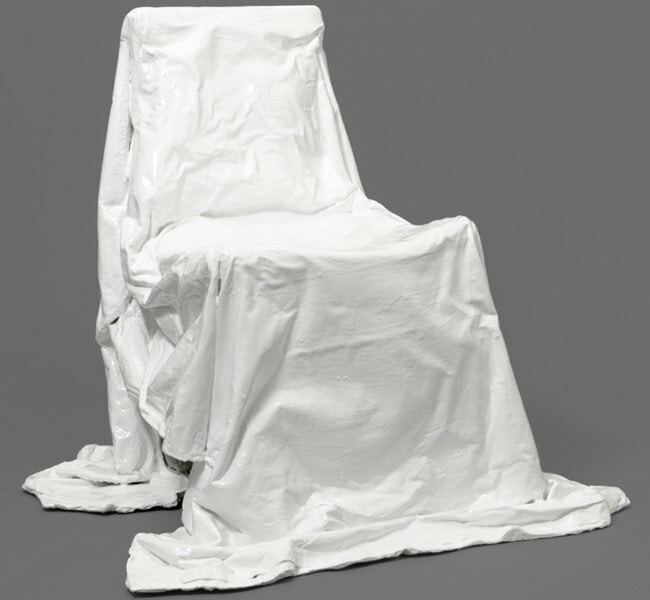 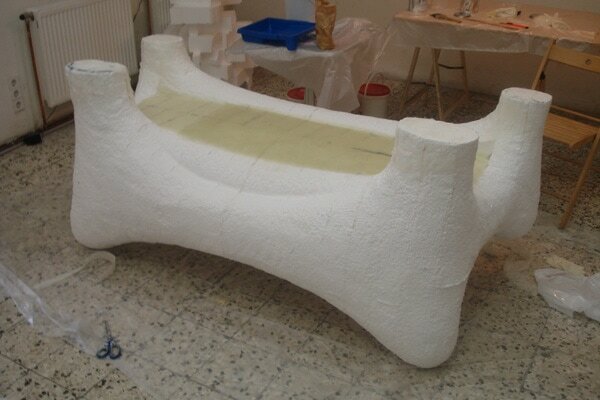 The edition consists of five pieces where each piece is -due to the handwork- unique. 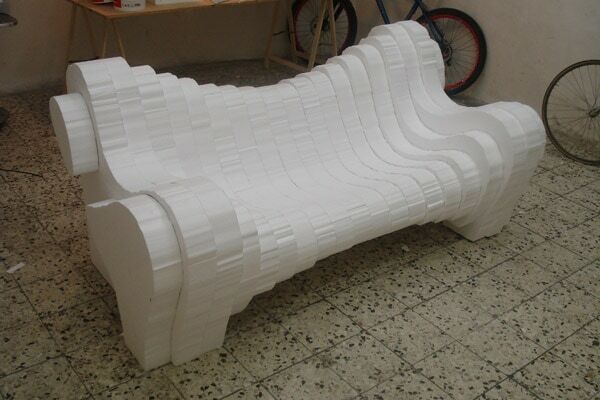 The pieces are made from polystyrene foam. 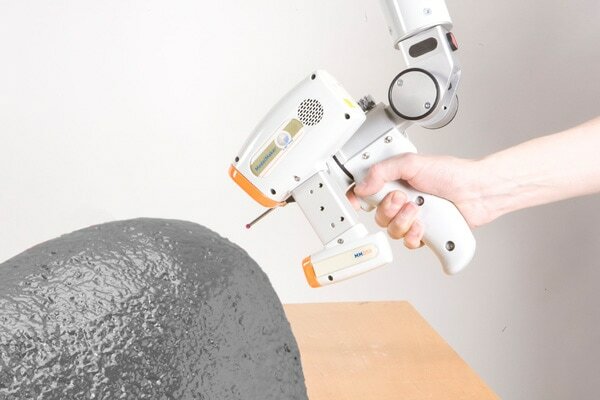 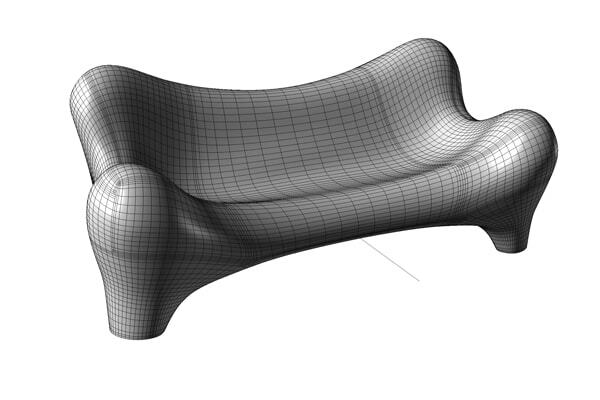 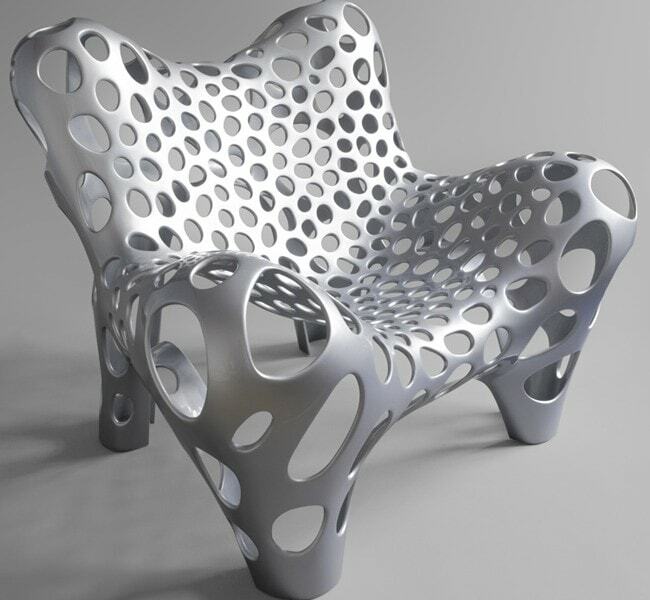 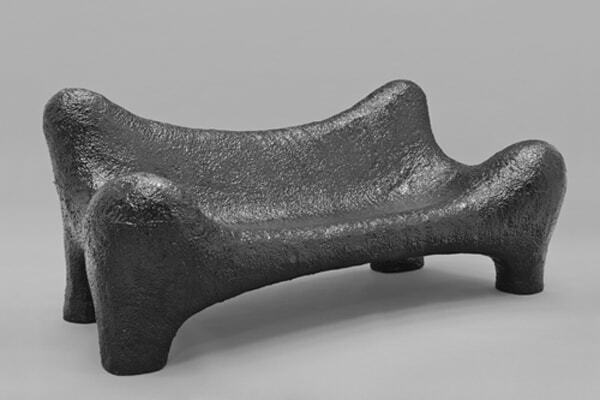 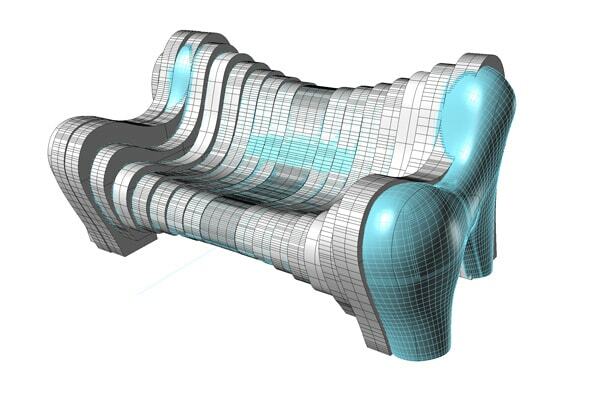 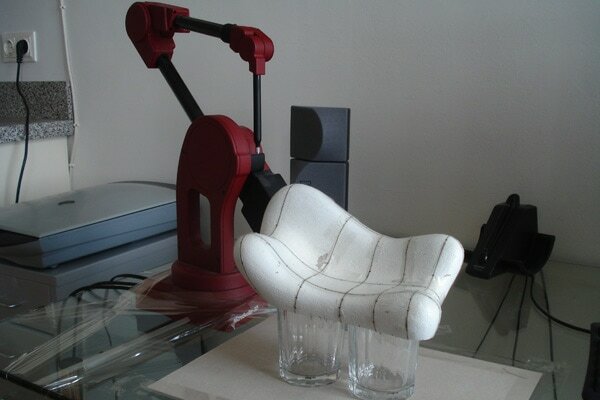 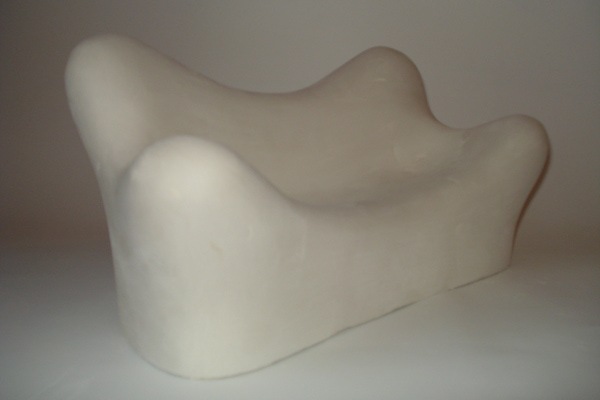 After digitizing, the 3D scan data is used as basis for modeling the Sofa II, a new design currently still in process. 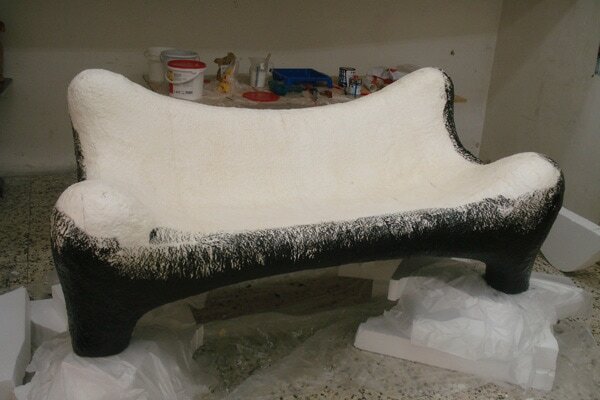 The pieces of the edition Sofa I are coated with glue and a special polyurethane lacquer to make the objects durable and usable.